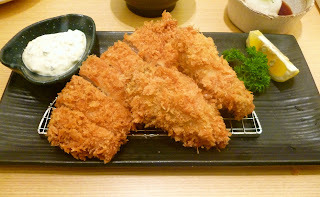 As I had written in my previous blog entry, Saboten is one of my absolute faves for Japanese Pork Tonkatsu. My friends and I ate here for dinner, and I was pleasantly surprised that the Oyster Specials were back! I had this once last year and thought the oysters were superb. So I've been patiently waiting since then for the oyster menu to make a special appearance again. I ordered the Oyster and Tenderloin Katsu Set (SGD 26.00). The pork tenderloin has always been consistent in quality, and this katsu did not disappoint. The gigantic oysters were really juicy and fresh. Just as good as I remembered it from last year's specials. A new discovery for us was that you could actually order the Grated Radish (SGD 2.00) as dipping sauce on the side. 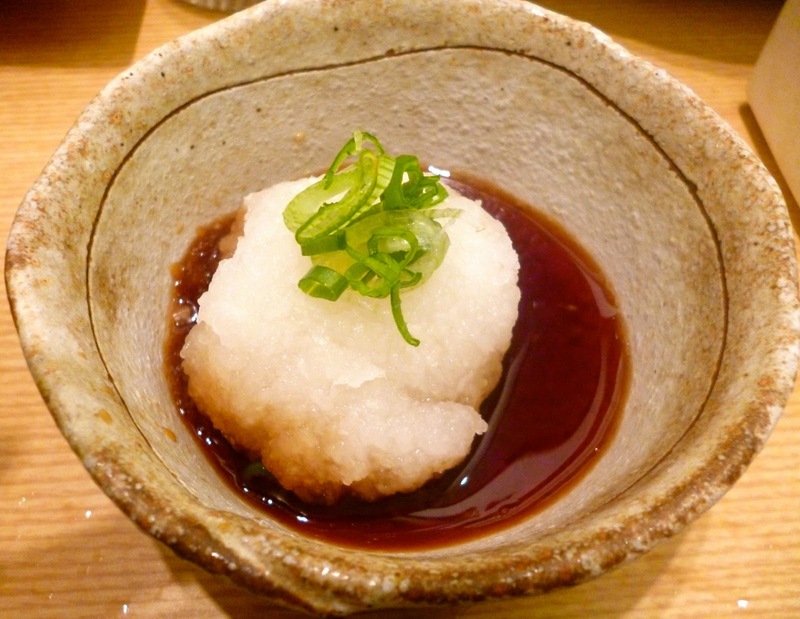 I would alternate dipping the katsu between the grated radish and the regular tonkatsu sauce. Absolutely delicious! Yet another great meal at Saboten. Do visit them soon if you want to try out the oyster specials as I think they will only have them in their menu until December.